Posted November 18, 2016 by tcooper-admin & filed under Repossession. Creditors will repossess things if you have defaulted on a loan agreement. In other words, you said you’d pay for something, they trusted you would, but for some reason you didn’t make the payments on time or in full… so they take your possessions. Besides failing to make required payments, creditors can also repossess items if you’ve failed to maintain adequate insurance coverage. While some creditors may offer a “grace period,” there’s actually nothing legally preventing them from repossessing items if a payment is late– even if it’s just one day overdue. Sometimes creditors will tell debtors they’ll accept late payments, though, giving them time to pay up before a repo man comes to take stuff away. If you’re ever in a situation like this, be sure and get the creditor’s statement that you have a certain amount of days to make a late payment in writing. What stuff typically gets repossessed? If you guessed homes and cars, those are the top two answers. If you have rented anything with the option of purchasing it, those items can be repossessed, too. Some examples of rent-to-own items that often get repossessed include furniture pieces (such as couches, tables, and chairs), electronics (TVs, computers), and appliances (refrigerators, washing machines, etc.). Other items that tend to get repossessed include boats, motorcycles, and aircraft, as well as office/medical equipment and construction/industrial equipment. 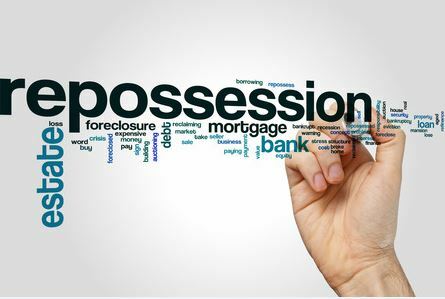 Oftentimes people buy expensive things they think they can afford only to discover they cannot– and repossession occurs. Associates Asset Recovery of Florence, South Carolina, is in the business of collecting items that get repossessed. As you’d imagine, this involves towing a lot of vehicles. Covering North Carolina and South Carolina, Associates Asset Recovery is known for safely and efficiently securing, transporting, and storing collateral to satisfy clients’ needs. Call 1-800-488-6869 with any questions you have about asset recovery services. Posted November 5, 2016 by tcooper-admin & filed under Skip Tracing. If you’ve seen the 2013 movie Identity Theft, then you might be familiar with the term skip tracer. In the film, Robert Patrick plays a skip tracer dispatched to track down a woman for a substantial bounty. A skip tracer is someone who has the unique job of locating a person’s whereabouts for any number of reasons. The term comes from two words: skip and tracing. When someone “skips town,” that means they left and can’t be easily found. The tracing part involves someone following clues in order to trace where they went. Skip tracing is a process employed by a number of people, including debt collectors, repo agents, private investigators, police detectives and journalists. It’s investigative work that involves collecting as much information about a subject as possible. This information is analyzed, scrutinized and, ideally, verified. 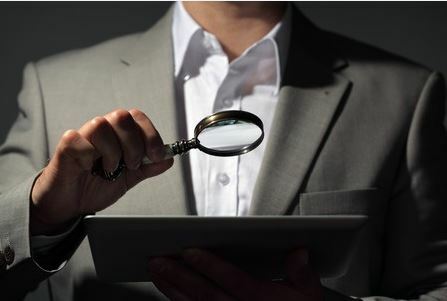 Skip tracing involves amassing a large amount of information and clues to a person’s whereabouts and then reducing it all down in order to act on the most salient/relevant leads. For instance, skip tracing can involve checking a person’s online accounts on Facebook, Twitter, Snapchat, Tumblr, LinkedIn or YouTube. Those online platforms might give clues to his or her current whereabouts, or lead to others who know key information. Visits to friends and neighbors can also help find a person’s whereabouts if their leads prove accurate, though there’s always a chance they’re intentionally trying to mislead the skip tracer to protect the subject. Other things a skip tracer might check to find a person involve credit reports, job applications, utility bills, and public tax information. People try hard to “go missing,” but sooner or later they usually can be found. Associates Asset Recovery engages in skip tracing and other services in order to help clients recover collateral such as campers, boats and other vehicles. Serving the Carolinas, please call 800-488-6869 if you require skip tracing services.